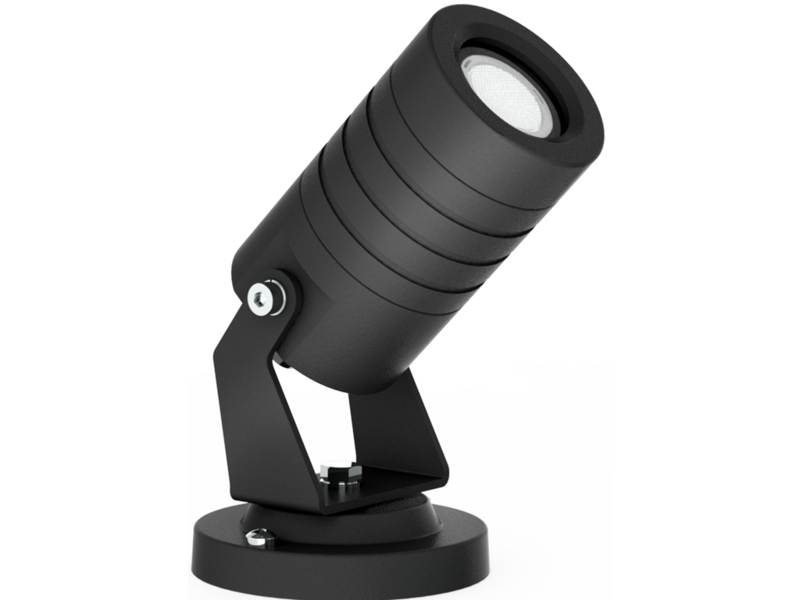 Miniature adjustable spotlight range. Contemporary simplicity and a diminutive footprint allows designers to paint landscaping with light whilst avoiding visual clutter. - Low copper content aluminium housing with a chemical chromatized protection before powder coating, ensuring high corrosion resistance. 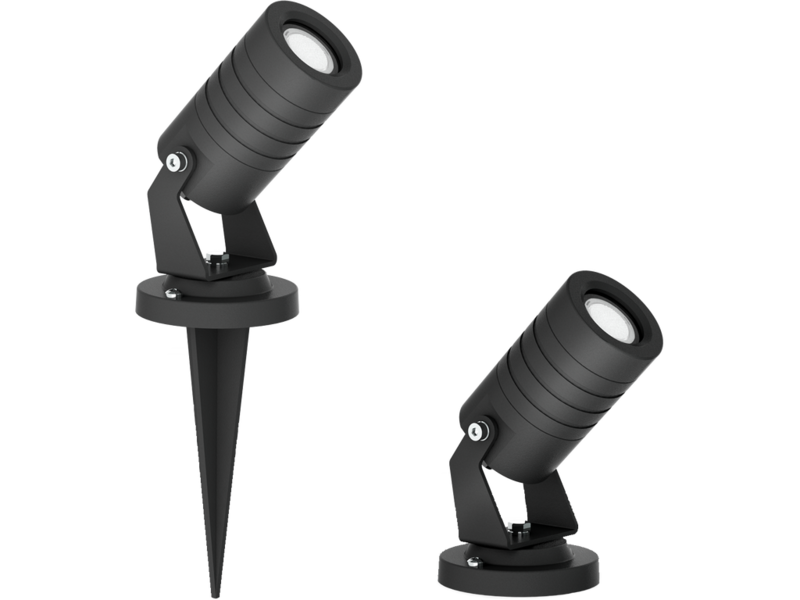 - Power is provided to the luminaire through water tight single cable gland supplied with 0.5m 2x0.5sqmm. - High efficiency optical PMMA. 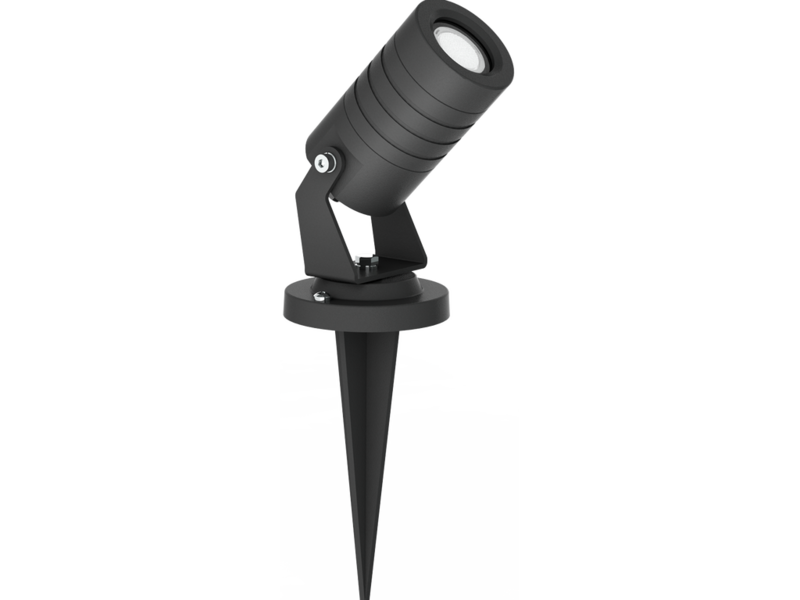 - Plastic ground spike for garden type. - Accessory visor must be order separately. - Remote driver is not included. - This luminaire is constant current type and need connecting in series.